Reiki (Ray-Kee) is a laying on of hands healing method discovered by Mikao Usui, a Japanese Buddhist monk. Reiki promotes deep relaxation, stress reduction, and holistic healing by bringing the human energy field into balance. In the last ten years, Reiki has become more well known and utilized in the West and is now being integrated into many mind/body healing systems. The second degree attunement intensifies the amount of Reiki energy flowing through the practitioner’s hands and focuses this energy through the use of three Reiki symbols. These symbols can be used for long distance healing and help in the treatment of mental and emotional problems. This ten-hour class combines attunements, lecture, discussion, and practice. 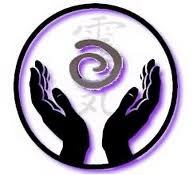 The prerequisite for this class is Usui Reiki 1 Training.